Enrolments start on Monday, the 8th of April at 11.00! WHAT? Combine learning, fun and adventure. 5-day program will include a range of activities, with four/five separate activities each day. These will provide a safe and supportive environment for pupils to explore creative ideas and improve their imagination. Suitable for all. Supervision by experienced APEEEL1 monitors. Activities will include: Drawing, trash art, sculpture, theatre workshops, music workshops, singing, and more. WHO? Children enrolled in the Primary cycle at the European Schools, all ages, all languages. WHEN? Monday 8th July to Friday 12th July, from 9h00 to 16h45, with a break for lunch (meals will be provided). WHERE? 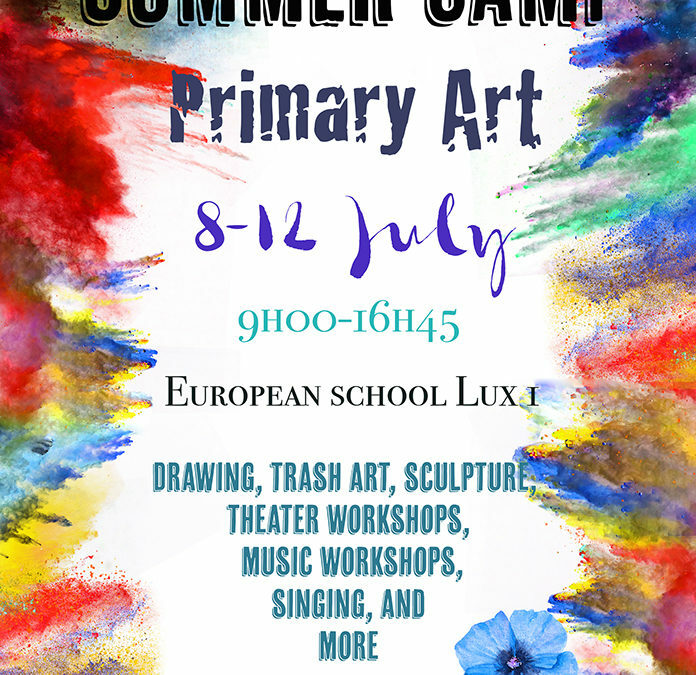 Activities will take place at the European School – Kirchberg (Primary building). Participants must be dropped off and picked by their parents each day. Meeting point for pupils: in front of Primary building at the European school I in Kirchberg at 8h45. HOW? Registration starts 8th April 2019 at 11 am, ends 31st May 2019 – but hurry, space is limited! Enroll at: https://periscolaire.apeeel1.lu.